With Iron Maiden's album The Final Frontier coming 16 August, the band have now launched an online game version bound to keep their multitude of fans busy while they wait for the disc to drop (and long after). In the game, Iron Maiden are about to play their first intergalactic concert. Just one problem: they've been attacked by space pirates. You can access Iron Maiden's The Final Frontier: The Game right here. 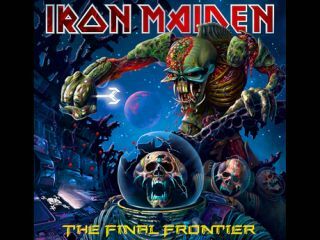 And in the meantime, be sure to check out our extensive track-by-track review of the album The Final Frontier. Then check out our wild, shocking and comprehensive photo gallery of Iron Maiden artwork through the years.